This course is for senior system administrators and storage administrators who are interested in deploying scalable, highly available storage on off-the-shelf hardware and in the cloud. Students will learn how to install, configure, and maintain a cluster of Red Hat Storage servers. The course will also explore highly available common Internet file systems (CIFS) and network file systems (NFS) using CTDB, unified file and object storage, and geo-replication. · Install and configure Red Hat Storage Server. · Create and manage different volume types. · Learn about IP failover for NFS and CIFS using CTDB. · Practice unified file and object storage using Swift. Deploy scalable, highly available storage on off-the-shelf hardware and in the cloud. Through hands-on labs, students will learn to automate system administration tasks on managed hosts with Ansible, learn how to write Ansible playbooks to standardize task execution, centrally manage playbooks and schedule recurring execution through a web interface with Ansible Tower. Students will also learn to manage encryption for Ansible with Ansible Vault, deploy Ansible Tower and use it to manage systems, and use Ansible in a DevOps environment with Vagrant. System and cloud administrators who need to automate cloud provisioning, configuration management, application deployment, intra-service orchestration, and other IT needs. 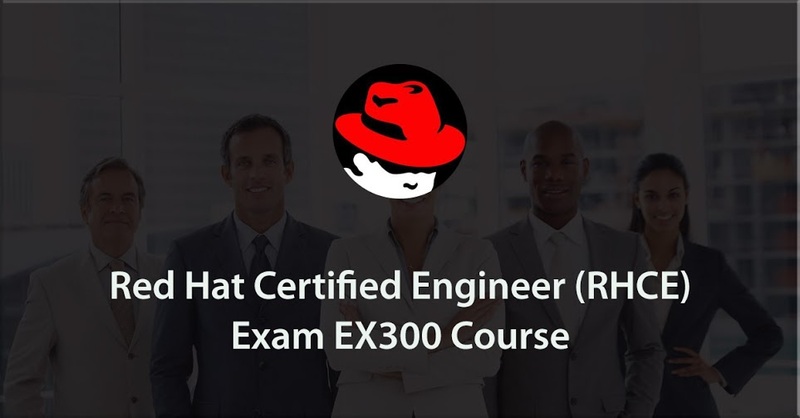 Have basic Red Hat Enterprise Linux administration skills or have a Red Hat Certified SystemAdministrator (RHCSA) certification is recommended. Describe the terminology and architecture of Ansible. Install Ansible and run ad hoc commands. Write Ansible plays and execute a playbook. Describe variable scope and precedence, manage variables and facts in a play, and manage inclusions. Manage task control, handlers, and tags in Ansible playbooks. Configure connection types, delegations, and parallelism. Manage encryption with Ansible Vault. Troubleshoot the Ansible control machine and managed nodes. Implement Ansible in a DevOps environment using Vagrant. Review tasks from the Automation with Ansible course. Access (secure) NFS SHARES .